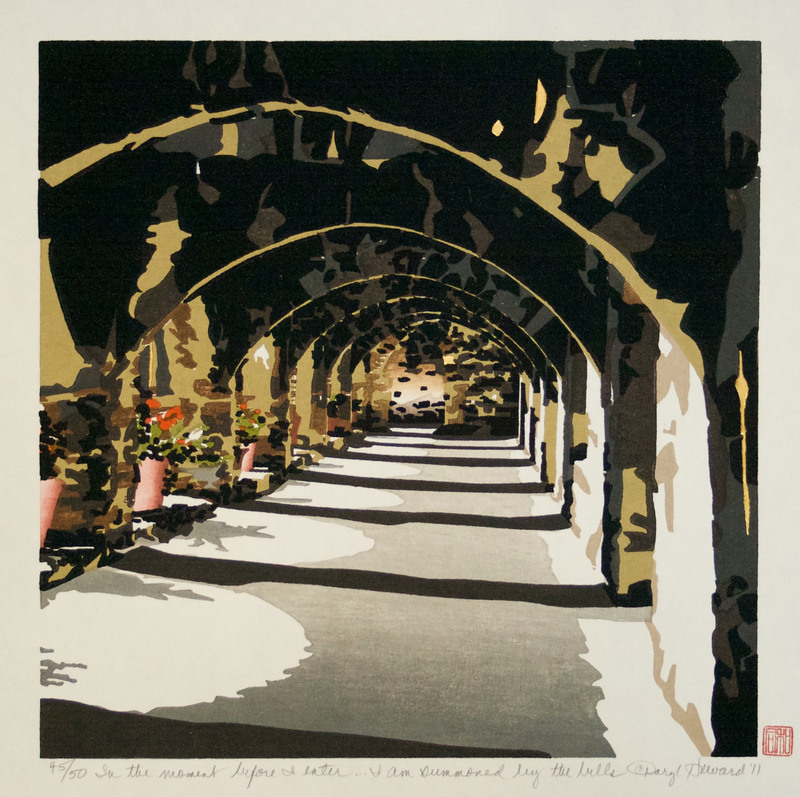 Ms. Howard’s technique of woodblock printmaking is exclusively the traditional Japanese method which she studied in Tokyo, Japan under Master Hodaka Yoshida. 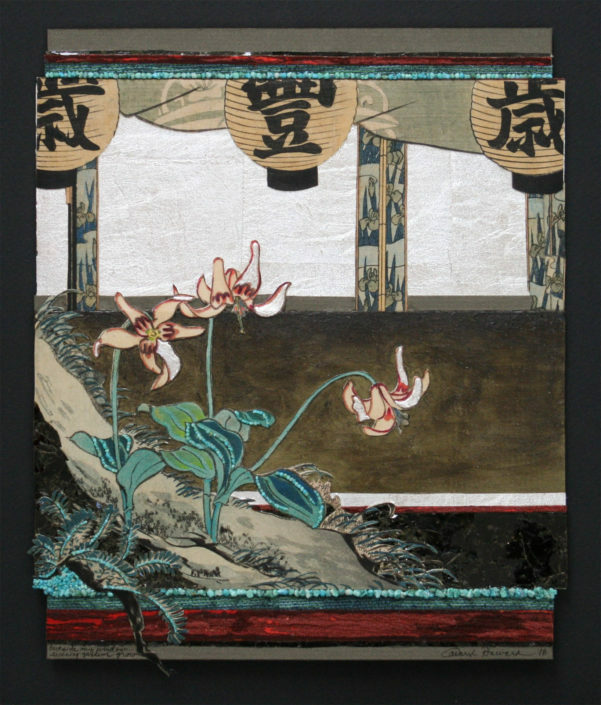 Woodblock printmaking is an ancient technique dating back to the 2nd century BC in China. In 770 A.D., woodblock prints first appeared in Japan, a country that has enjoyed a long tradition of woodblock printmaking. A woodcarving is done for each color in the print. Watercolor and rice paste are applied with a Japanese brush to the wood. 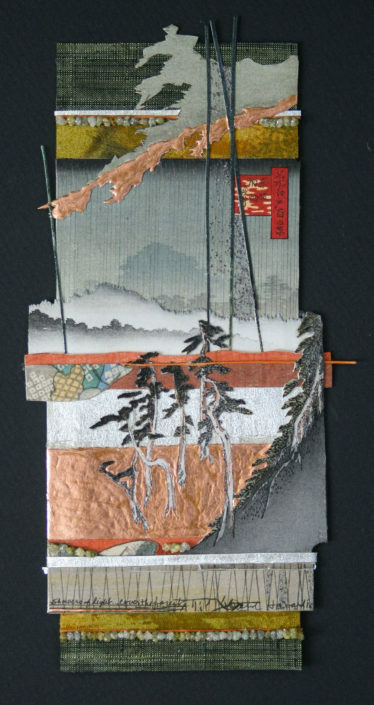 A dampened piece of handmade mulberry Kizuki paper is placed on the block and pressed, transferring the color to the paper. Two sides of each piece of paper are exactingly cut at right angles for the registration of the paper to the woodblock. The precise hand-registration of the paper to each block must be repeated many times throughout the creation of one print; a minute miscalculation at any step in the printing process will result in a ruined print. Daryl’s signature of 22K gold, silver, or copper leaf is applied last as embellishment to the print. Receive notifications of future events, exhibitions, and new releases.